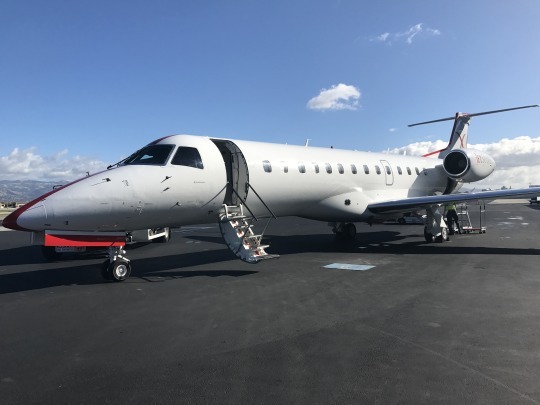 TL;DR: If you travel between locations serviced by JetSuiteX, the price and convenience are unbeatable. However, the safety of the operation makes me feel a little uneasy. 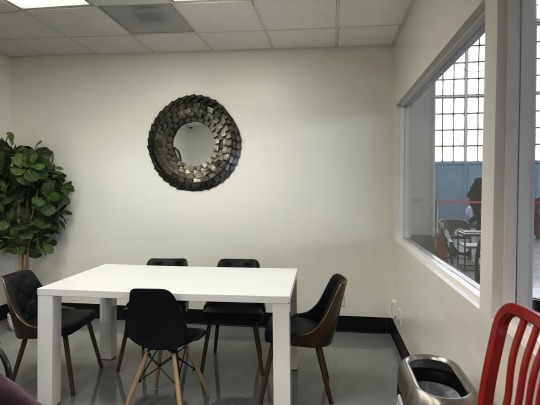 Pros: Arrive only 20 mins before takeoff, private hangar, free booze/snacks. Cons: Free wifi advertised but not delivered, limited route map. I booked this flight for $119. More details about booking on my previous post. I arrived at Burbank’s Hangar 2 at around 9:25am, 25 minutes before takeoff. 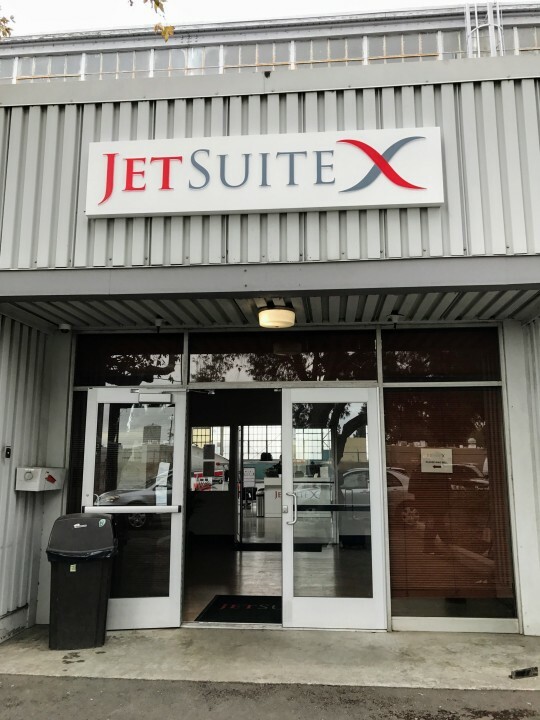 Upon arriving, I was greeted with the JetSuiteX signage above the hangar’s entryway. I was immediately assisted by the woman working the check-in desk. She verified my driver’s license and tagged my baggage. 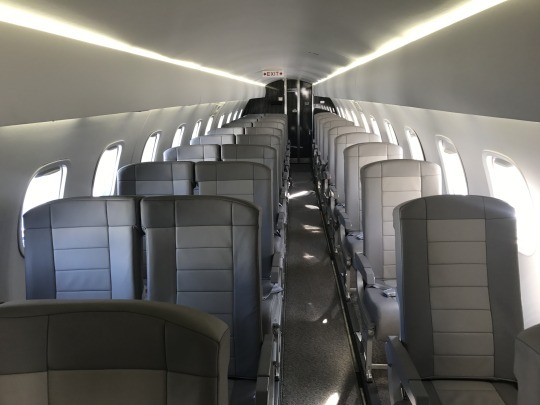 The JetSuiteX planes do not have overhead bin space (more headroom and faster boarding), so you can only bring a bag on the plane that will fit under the seat in front of you. 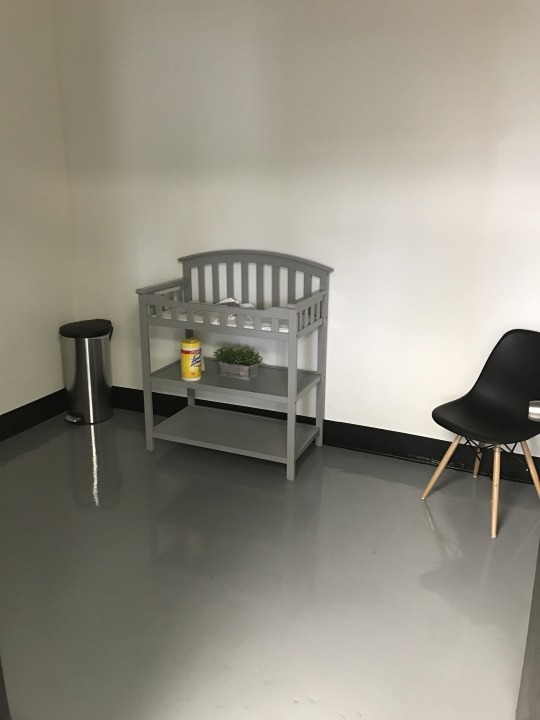 After tagging my baggage, she handed me my boarding pass and informed me there was a waiting room with snacks where I could hang out in until boarding. Behind her, there was another plane hanging out in the hangar – I looked it up later and it was headed to Concord later that day. 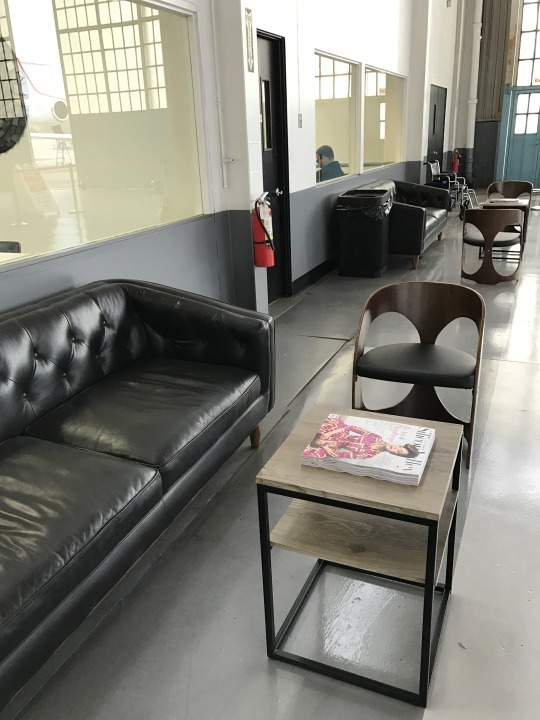 The boarding area had a couple “lounge” rooms with couches, magazines, drinks and snacks. 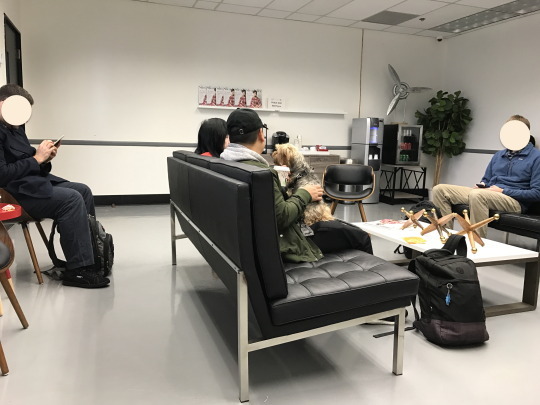 JetSuiteX allows dogs on flights for a small fee; there was a very friendly one in the lounge who ended up being on my flight. At 9:40am, an employee announced that the flight to SJC was boarding. My boarding pass was scanned and I walked directly up the stairs and onto the plane. The seats are arranged in a 2-1 configuration. 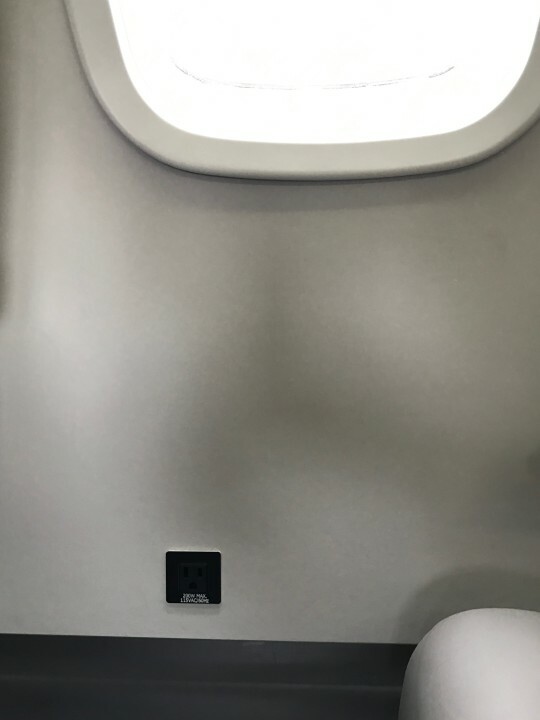 When I booked my flight, I chose 2C (window). I thought I’d have the row to myself, but someone had also booked 2B. When the aircraft door closed, the flight was only ~40% full, so I switched to seat 3B. 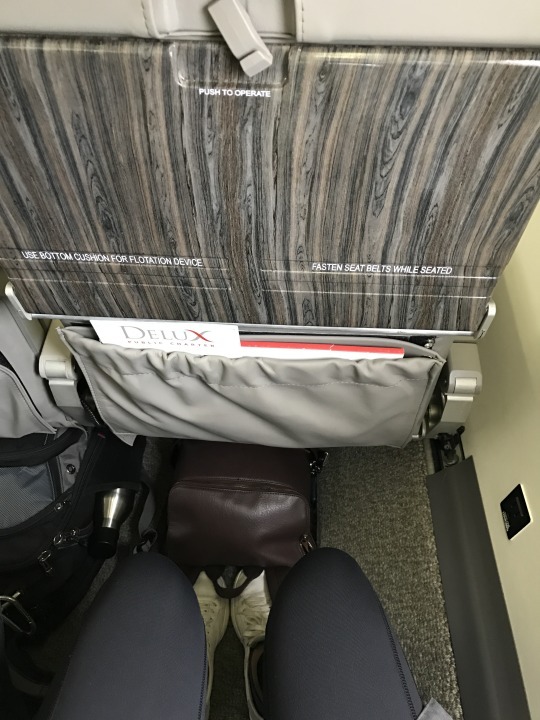 There was plenty of legroom, however I found the seats to be narrow. When I sat in row 2 next to another passenger, I was definitely uncomfortable. Seated in row 3, the width of the seat was just about the width of my shoulders. I had the row to myself, so I was comfortable. However, sharing a row with a broad-shouldered person would be less comfortable. 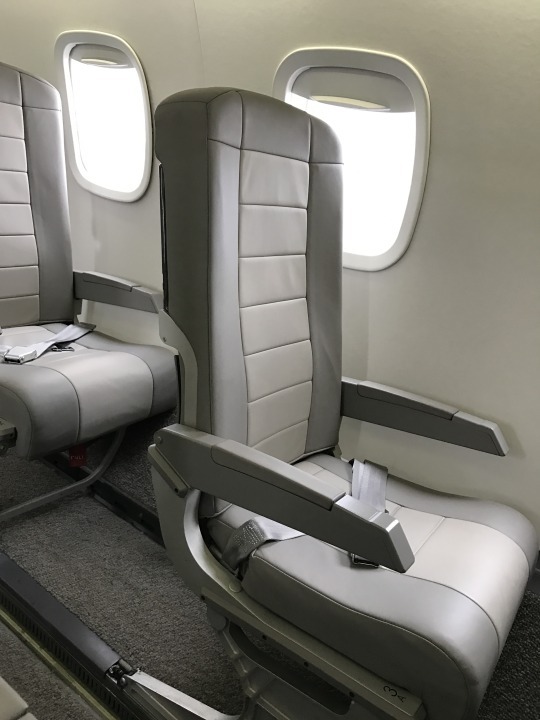 I’d book the single seat and switch to an empty row for the flight if they’re available. 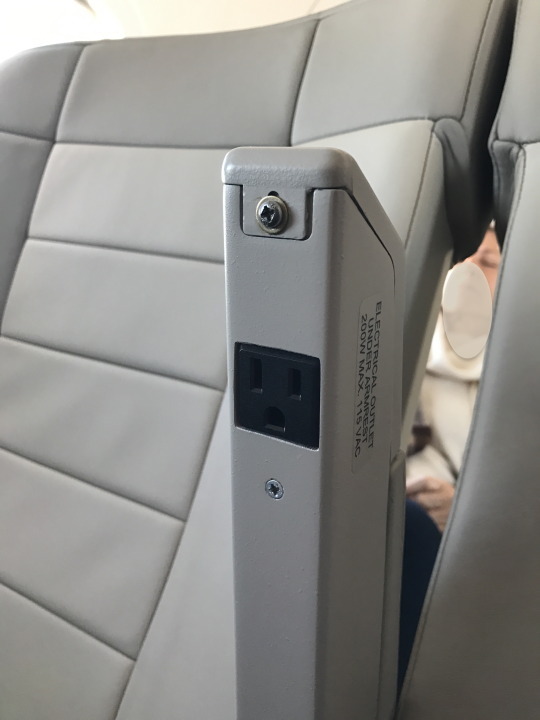 Each seat has access to a power outlet; they’re below the windows and there’s one in the armrest for those sitting in the aisle. We taxied to runway 15 and took off just a few minutes before 10am. Shortly after, the flight attendant came around with drink orders and a tray of snacks. The captain announced we’d be cruising at 30,000 feet and the flight time would be approximately 50 minutes. 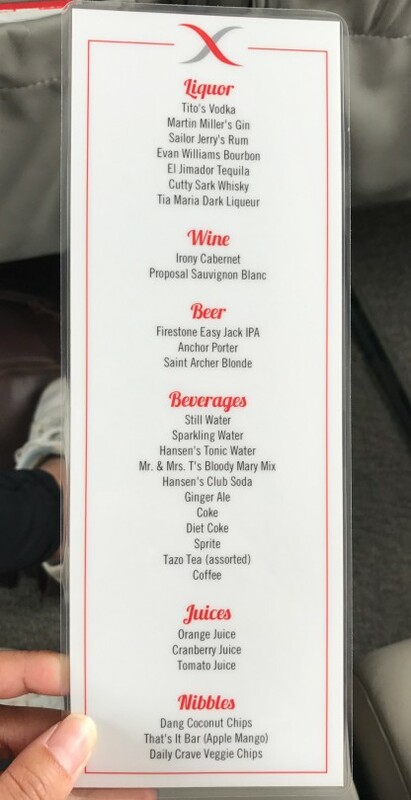 IMHO, it would be more efficient if the flight attendant wrote down the drink orders during boarding. For such a short flight, I don’t think she’d be able to complete beverage service if the flight were full. Though free inflight wifi was advertised, I couldn’t get it to work on my phone. Bummer. I read for the duration of the flight, and before I knew it we were landing at SJC. 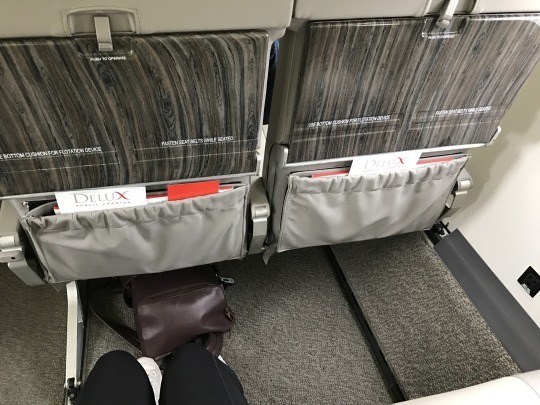 The flight attendant thanked us for flying JetSuite, and asked us to tell our friends and use the hashtag #jetsuitex. After taxiing to the hangar, we walked straight off the plane into the lobby, where an employee rolled our luggage in on a cart that looked like it belonged to a hotel bellhop. I boarded the plane without any TSA security lines, metal detectors, nudie scanners, pat-downs, anything. Literally nothing. Only my ID was checked. Was it convenient? Extremely. Is it safe? Hard to say. I guess it depends on whether you think TSA at commercial airports is effective or simply security theater. 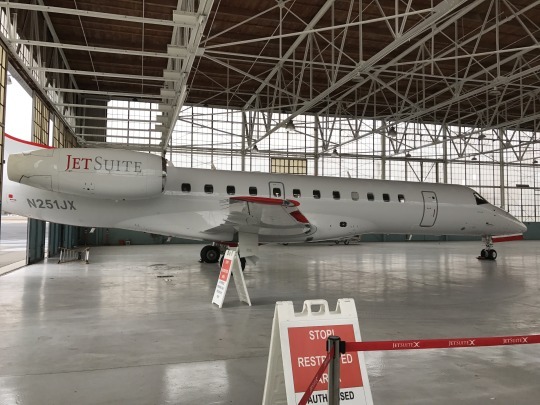 Additional screening will be conducted by JetSuiteX at our discretion to deter, detect, and prevent the introduction of unauthorized explosives, incendiaries, weapons, and other prohibited items onboard an aircraft. We ensure any screening conducted affords uniform, courteous, and efficient treatment to the maximum extent practicable. Their website also states that all flights are piloted by two captain-qualified pilots. I did not see anything on the website about aircraft maintenance. 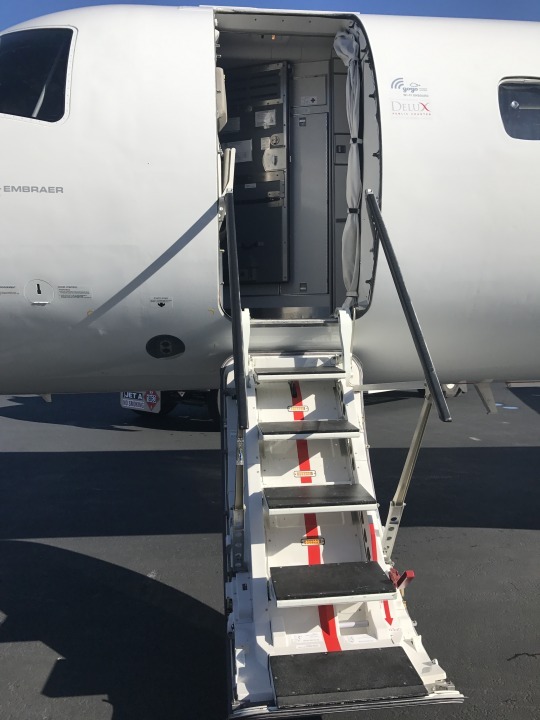 JetSuiteX was extremely convenient: you can show up to your flight a mere 20minutes before takeoff. The lack of security is another convenience, though it might make you uneasy with regards to safety. The novelty of the private hangar adds bonus points and yields a good snapchat. I wouldn’t go out of my way to fly them again (SJC is far from my home in SF), but I might consider them again if the locations are close and the price is right.